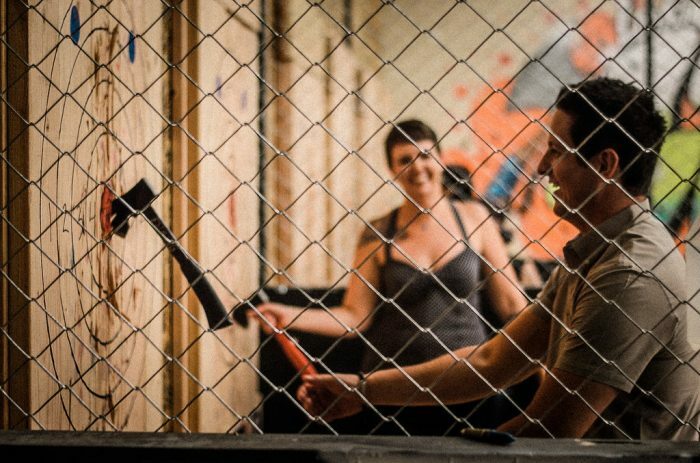 This past July Bad Axe Throwing opened a location in Denver. 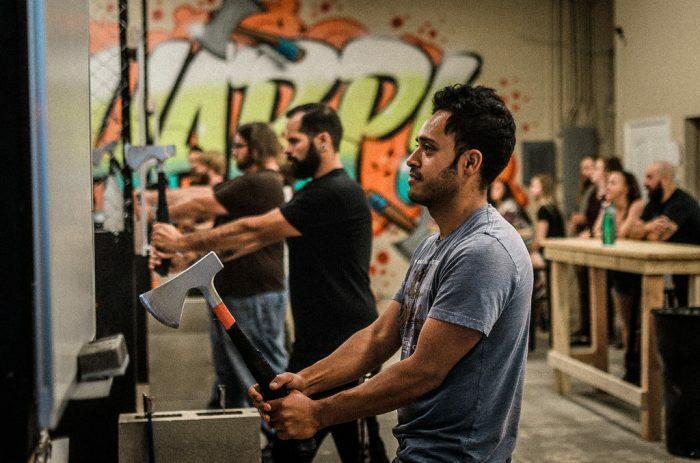 Axe Throwing has become such a popular activity that we’re moving to a new Denver location after only 5 months! Our new venue will be double in size! Our new location will have double the amount of axe throwing lanes allowing us to cater to larger group sizes. The location will feature 6 axe throwing lanes consisting of 12 targets. As of December 16th we’ll be hosting events at our new location; 7338 Washington St, Denver CO, 80229. We were shocked to see that we surged to the top to be the #1 destination for Fun and Games on TripAdvisor in Denver. We were recently granted our liquor license and will be selling beer at our new location. We’re aiming to only serve craft beer, locally made in Denver to support our community and local businesses. One of our favourite locally crafted brews is Oskar Blues. We’re also wrapping up The World Axe Throwing League Championship and our Denver participants are getting ready for finals! The final championship is taking place on Wednesday December 13th. We’ll be hosting a live stream of the event on our Facebook page.